Paula brings leadership, sound judgment, and strategic thinking to complex environmental litigation. 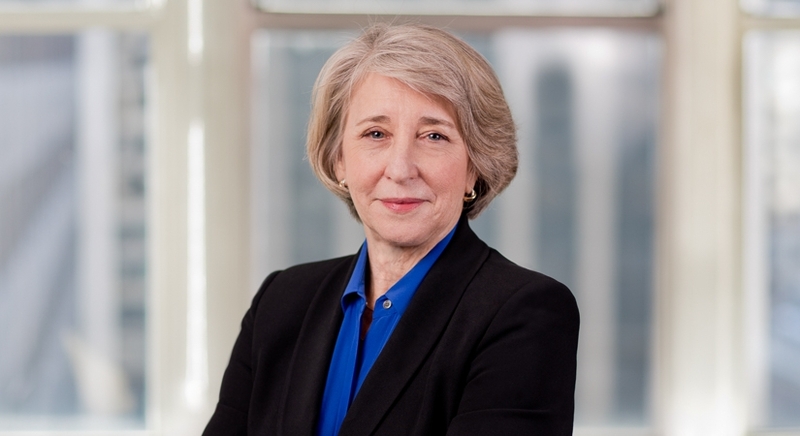 Paula represents industrial manufacturing and refining companies in toxic torts, product liability suits, and suits brought under the Comprehensive Environmental Response, Compensation and Liability Act (CERCLA), the Resource Conservation and Recovery Act (RCRA), and other similar statutes. She is sought after for her consensus-building skills in joint defense or other multi-party groups. Paula specializes in cases concerning groundwater contamination and impacts to drinking water wells. Her significant experience and skill working with experts on issues related to causation, source identification, natural resource damages, remediation and repair, project management, and the fate and transport of contaminants in many types of media are highly valued by clients. Paula works to understand both her clients’ business needs and litigation goals. She helps her clients manage risks in the manner best suited to their company’s overall strategy. She finds the practice of environmental law empowering, having the tools and credentials that can uncover good solutions for difficult challenges. Coordinating expert strategy and numerous expert reports regarding potential impacts to drinking water resources from thousands of sites and across multiple municipal and hydrogeologic boundaries where she helped her client negotiate a very favorable outcome before trial on the strength of the expert reports and legal arguments supported by them. Creating and executing a plan to bring her client into compliance with document preservation and production obligations while it was undergoing significant and stressful change that was efficient, targeted, and thorough, paying special attention to the political and business-related tensions at the company, and succeeded in bringing the client into compliance and put them in a good position for responding to discovery and creating a strong defense going forward. Paula's research while at the Yale School of Forestry and Environmental Studies focused on land use and land use planning, including hydrogeology, wetland analysis, and restoration. She is an Adjunct Professor of Law at Pace Law School where she has taught courses in Land Use Law, Environmental Litigation, and Toxic Torts. Paula has served on the firm's Management Committee and as the firm's Diversity & Inclusion principal and Diversity & Inclusion Committee Co-Chair. She is committed to B&D’s ongoing leadership in areas of diversity and inclusion, particularly in the environmental legal profession and serves as the Corporate Secretary for the Minority Corporate Counsel Association.